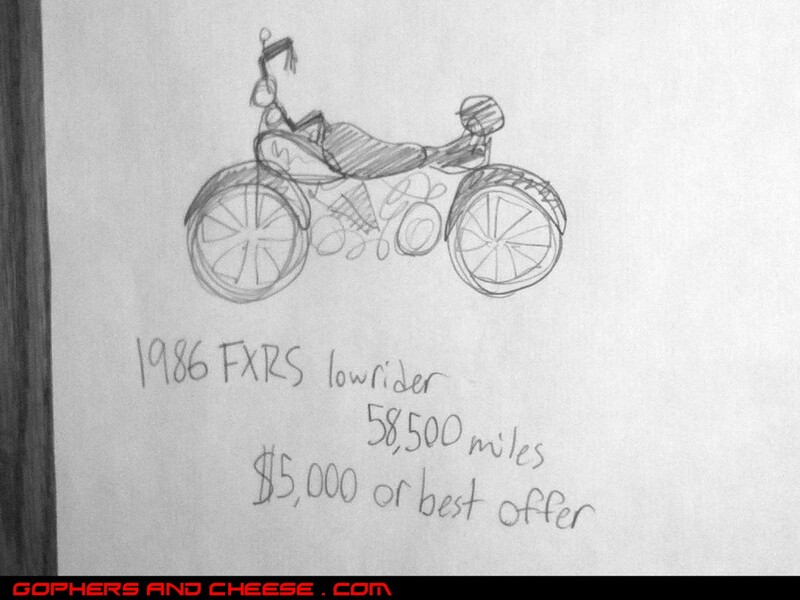 Forget newspaper classifieds, eBay, Craigslist, Cycle Trader, and everything else you think you know about selling a motorcycle. 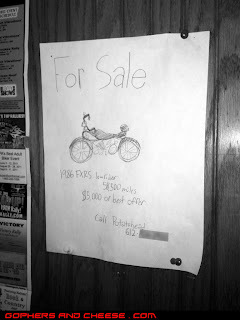 Go to your local biker bar (in this case The Joint) and post a sign. Photo? Photos are for sissies. Draw your bike like a real man! Digital cameras and computers are for nerds and nerds don't ride FXRs from the '80s. 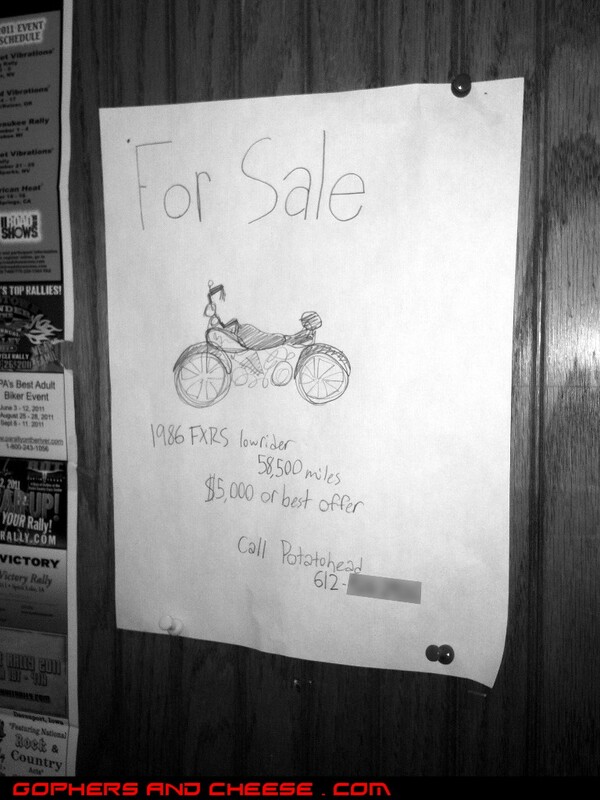 I actually think this is pretty awesome and I'd bet he sold it. I spotted this last month and forgot to post it. Out of respect to "Potatohead", I blurred his phone number.